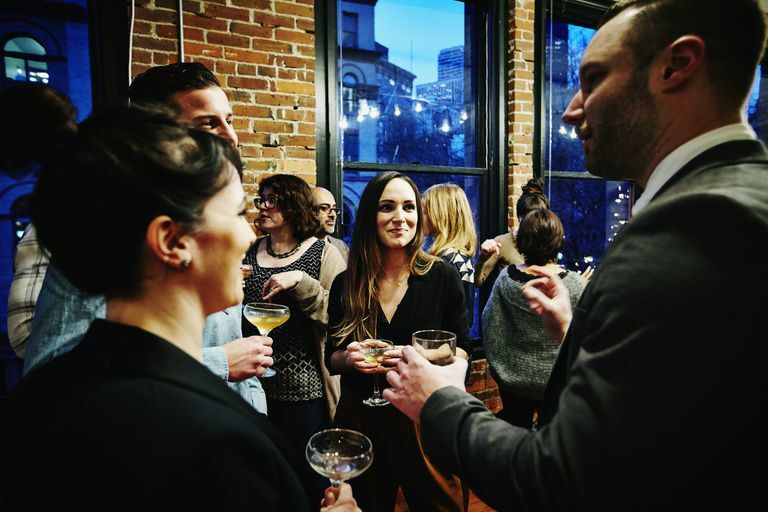 Individuals with social intelligence can sense how other people feel, know intuitively what to say in social situations, and seem self-assured, even in a larger crowd. You might think of these folk as having “people skills,” but what they truly possess is social intelligence. The theory of social intelligence was first brought to the forefront by American psychologist Edward Thorndike in 1920. He defined it as, “The ability to understand and manage men and women and boys and girls, to act wisely in human relations.” No one is born socially intelligent. Instead, it involves a set of skills that an individual learns over time. People who are socially intelligent display core traits that help them communicate and connect with others. Effective listening. A person who possesses social intelligence doesn’t listen merely to respond but truly pays attention to what a person is saying. The other folks in the conversation walk away feeling like they were understood and that they made a connection. Conversational skills. Have you ever seen someone “work the room?” They have conversational skills that enable them to carry on a discussion with practically anybody. They’re tactful, appropriate, humorous and sincere in these conversations, and they remember details about people that allow the dialogue to be more meaningful. Reputation management. Socially intelligent people consider the impression that they make on other people. Considered one of the most complex elements of social intelligence, managing a reputation requires careful balance—a person must thoughtfully create an impression on another person while still being authentic. Lack of arguing. Someone with social intelligence understands that arguing or proving a point by making another person feel bad isn’t the way to go. They don’t outright reject another person’s ideas, but rather listen to them with an open mind—even when it’s not an idea that they personally agree with. Pay close attention to what (and who) is around you. Socially intelligent people are observant and pay attention to subtle social cues from those around them. If you think that someone in your life has strong people skills, watch how they interact with others. Work on increasing your emotional intelligence. Although similar to social intelligence, emotional intelligence is more about how you control your own emotions and how you empathize with others. It requires recognizing when you’re experiencing an emotion—which will help you recognize that emotion in others—and regulating them appropriately. An emotionally intelligent person can recognize and control negative feelings, such as frustration or anger, when in a social setting. Respect cultural differences. More than that, seek out cultural differences so you can understand them. Although most people learn people skills from their family, friends and the community surrounding them, a socially intelligent person understands that others might have different responses and customs based on their upbringing. Practice active listening. Develop your social intelligence by working on your communication skills—which requires active listening. Don’t interrupt. Take time to think about what someone else is saying before you respond. Listen to the inflections in what others say, which can give you clues to what they really mean. Appreciate the important people in your life. Socially intelligent people have deep relationships with people who are meaningful to them. Pay attention to the emotions of your spouse and children, friends, co-workers, and other peers. If you ignore the closest people in your life, you’re missing the cues on how to connect with them. Social intelligence isn’t easy to master—if it were, there wouldn’t ever be another awkward conversation at a party. However, working toward a strong social intelligence can lead to a richer life—or, at least, an easier time making a few new friends. Study social situations. Pay attention to what people are doing well and the mistakes you want to avoid. Afterward, think about what you want to do differently in the next social situation you enter. Get proactive about improving your skills. And remember, that you're going to mess up sometimes. Learn from your failures as well as your successes. Emmerling RJ, Boyatzis RE. Emotional and social intelligence competencies: cross cultural implications. Cross Cultural Management: An International Journal. 2012;19(1):4-18. Maltese A, Alesi M, Alù AGM. Self-esteem, Defensive Strategies and Social Intelligence in the Adolescence. Procedia - Social and Behavioral Sciences. 2012;69:2054-2060.